Anne Emond’s cartoons are relatively new to me – I found Anne’s work through comiques earlier this month while looking up tumblr blogs to follow. Emond’s comics are wry and introspective, often autobiographic in nature, discussing things that happen on the train and feeling like a slug. 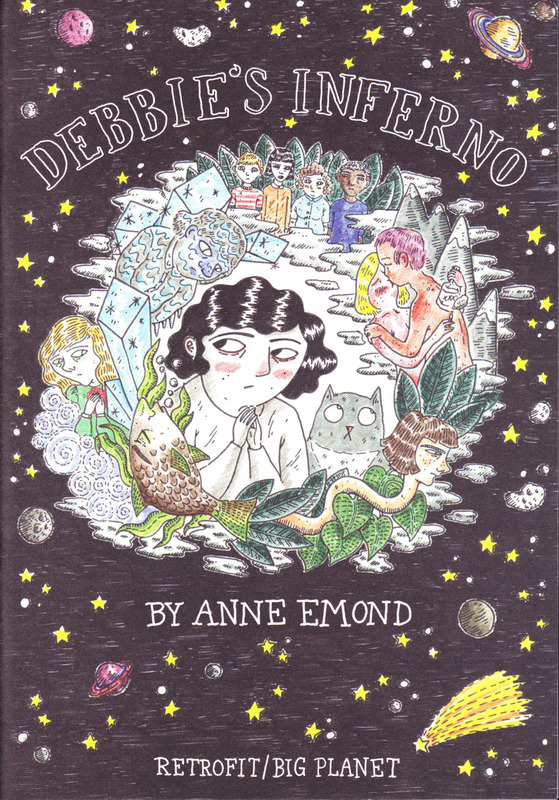 From that introspective vein comes Emond’s latest comic with Retrofit Comics, Debbie’s Inferno. Debbie’s Inferno is 36 pages of black and white comics that features Debbie, a woman who is too busy wallowing in her bed, eating chips, and watching TV to escape from a mysterious flood. Her cat, in an attempt to rouse her from her bed, starts to talk – but ultimately nothing saves the pair from going down the drain into a strange otherworld of Debbie’s design. In the way that Dante’s Inferno is an allegory about the Christian soul recognizing sin and rejecting it, Debbie’s Inferno is an allegory about recognizing and understanding yourself. Debbie, the reluctant protagonist and everyman of the story, travels through many hells, all of which are self-inflicted. Importantly, Debbie is both the Daedalus and Theseus of this story, constructing her various levels of hell and then traversing them. I like this idea of the labyrinth, the thought of the unicursal path leading towards the center; Debbie must continue onward through many circles until finally she understands that these troubles are her own states of mind. Importantly, Debbie’s triumph is not a trumpeted victory, but rather just being able to get out of bed. And I think sometimes that’s an important victory, and being the victor in that position is so essential to daily life. Emond’s dark line and hatching do good work creating a sense of depth and darkness, and the characters are simply constructed, allowing Emond to create strong facial emotion and nonverbal communication. This is likely the strongest part of Emond’s art; that ability to deliver an emotional punch is consistent and well considered. Some elements, such as the cat standing in as either the clew or Virgil (take your pick of literary analogies) feels unique, but the overall whole seems like something I’ve read before. 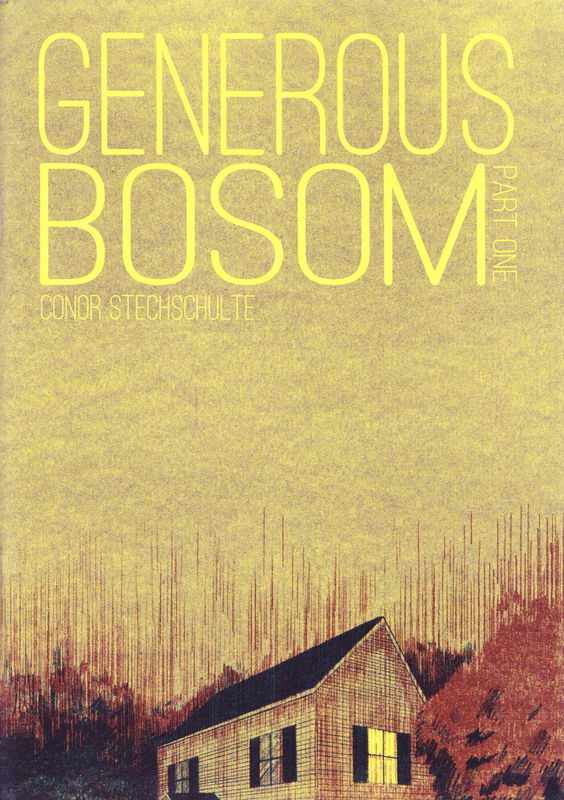 The allegory is a little heavy handed, which is to be somewhat expected given the book’s inspiration, but still isn’t as satisfying as I had hoped. Additionally Debbie’s Inferno tends to meander in a nasal-gazing type of way, potentially eschewing conflict for clarity of allegory. Where Emond does succeed is in making Debbie the stand-in for the reader; it’s easy to put myself in the position of Debbie, navigating through the mental missteps that can lead to stagnation and self-pity. It’s all very well constructed if somewhat simplistic, and I think that’s my major complaint, that this story doesn’t feel nuanced. Debbie’s Inferno feels like a distilled Phantom Tollbooth, but any nostalgia for the puns and allegory of the classic children’s story is swept away by a relative lack of meaningful conflict. 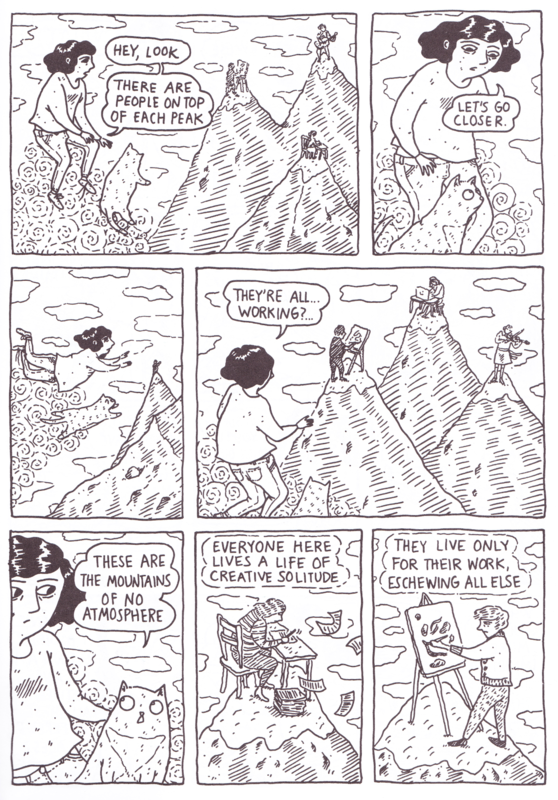 Anne Emond is a illustrator and cartoonist, whose work you can find at comiques, twitter, or on Emond’s website. Debbie’s Inferno was published by retrofitcomics. You can check out their tumblr as previously linked and buy comics at their store.